Enlightening! I feel a lot more confident about running appraisals now. Particularly useful was the part about objective setting. I’ve always struggled with this and now feel in a much stronger position. I found the appraisal training really helpful. It was great the way the trainer related it to our appraisal process with lots of examples of how to use it effectively. The course has made me realise that preparing for the appraisal is everything! Many thanks. Great course – really pleased I attended. Feel much more knowledgeable about the appraisal process. Will set me up well for the performance appraisals this year. I didn’t think I would enjoy the appraisal training as much as I did! I didn’t think I would enjoy the appraisal training as much as I did! I feel a lot happier now – This will be the first time I’ve been an appraiser so I have been feeling a bit anxious (especially as I’m appraising some of the people I used to work alongside!) Weirdly, I’m kind of looking forward to the challenge now! Thanks. I’ve run appraisals before so I was already pretty familiar with my responsibilities as an appraiser before the appraisal training. Having said that, I’m really glad I attended though. It’s made me realise that I was doing all the work! Now I’m going to involve my appraisees more – that way hopefully they’ll feel more positive about it and get more from the process. The objective setting advice was particularly helpful. 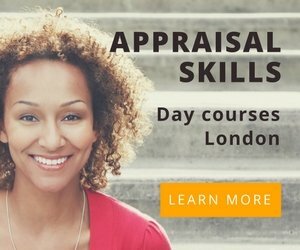 We deliver appraisal training for a diverse range of clients. Small and large businesses, public and private sector.